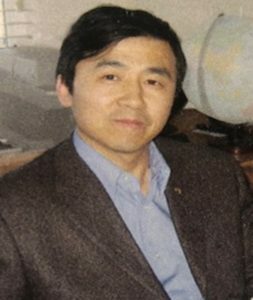 YI Cao graduated from Hei Long Jiang University of Traditional Chinese Medicine Harbin, China, in 1988. The Doctoral Program included training in both Western and Traditional Chinese Medicine with a special emphasis on acupuncture. Yi Cao completed his residency as Staff Doctor at the University Hospital and became the leader of the Acupuncture and Moxibustion Department. He eventually became a Vice-Professor at the University and taught courses in Acupuncture, Moxbustion and Tui Na. He’s published many articles in the Journal of Clinical Acupuncture and Xoxibustion earning many accolades for his research. He has rich clinical experiences and a strong understanding of Chinese Medicine Theory. He’s had much success with treating nervous system diseases, such as : stroke, facial paralysis, trigeminal neuralgia, MS, Parkinson’s disease, as well as treating headache, neck, lumbar and leg pain, stop smoking and weight loss. He maintains a professional membership with the Acupuncture Association of Colorado and is a faculty member at the Colorado School of Traditional Chinese Medicine. If you have a chronic or difficult problem that you have been trying to deal with, give yourself the opportunity for a natural holistic therapy that is safe and often dramatically effective in its outcome at an affordable rate. Inquiries over the phone or email are welcome. Use the form below to book an appointment. The time and date of your appointment will be confirmed when you receive a call from us. We look forward to hearing from you! 60min appointments are available 9am-5pm Mon-Fri. We will call and confirm your appointment time. We are open Mon-Saturday. We will call and confirm your appointment date. I understand we will confirm the day and time of your appointment when we contact you. Your appointment is not booked until you receive our call.